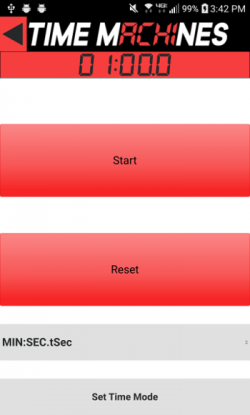 Smartphone Timer App | TimeMachines Inc.
Android and Apple Apps for Timer Control! 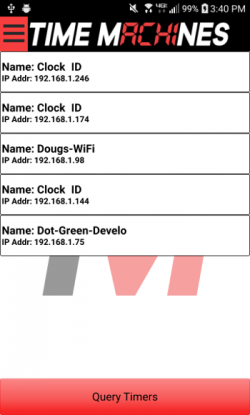 The TM-Timer application is a free download to allow for Android and Apple Phone App based control of the timer features of our network POE / WiFi clocks and DotMatrix displays. This application works through WiFi to control clocks and displays that are on the same local network. 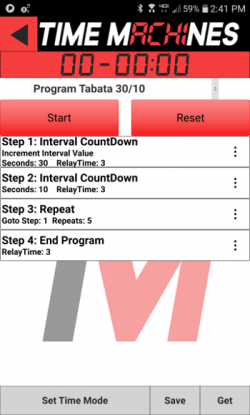 Count Up, Count Down, and Programmable Timer sequences are available including Round, Interval, and Tabata modes. Timer Programs can be saved to the clock displays and triggered at specific times of day to implement features like manufacturing schedules and school passing periods, all with automatic triggering. Multiple devices can be controlled simultaneously or individually, including the ability to start and stop multiple displays simultaneously, allowing them to count in sync with each other. The simple, intuitive interface, allows for discovery of all display devices on the network with a single button click. 8 preset Count-Down times can be set in the Count-Down mode. 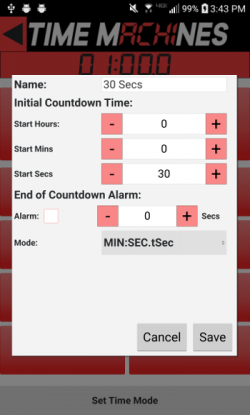 The app also displays the timer time as displayed on the clock/dotmatrix displays.